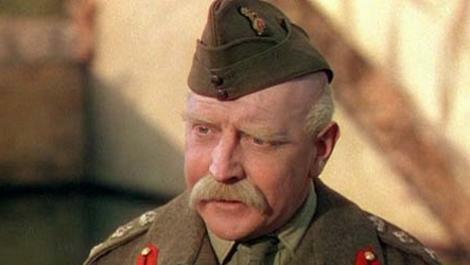 Considered by many to be the finest British films ever made, the1943 war-drama-romance classic The Life and Death of Colonel Blimp is directed by Michael Powell and Emeric Pressburger (The Battle of the River Plate). Roger Livesey dynamically embodies outmoded English militarism as the indelible General Clive Candy, who barely survives four decades of tumultuous British history (1902 to 1942) only to see the world change irrevocably before his eyes. Anton Walbrook (The Red Shoes) and Deborah Kerr (Black Narcissus) provide unforgettable support, he as a German enemy turned lifelong friend of Blimp’s and she as young women of three consecutive generations—a socially committed governess, a sweet-souled war nurse, and a modern-thinking army driver—who inspire him. Shot in gorgeous Technicolor, Colonel Blimp is both moving and satirical—a masterful film that’s often referred to as England’s Citizen Kane.